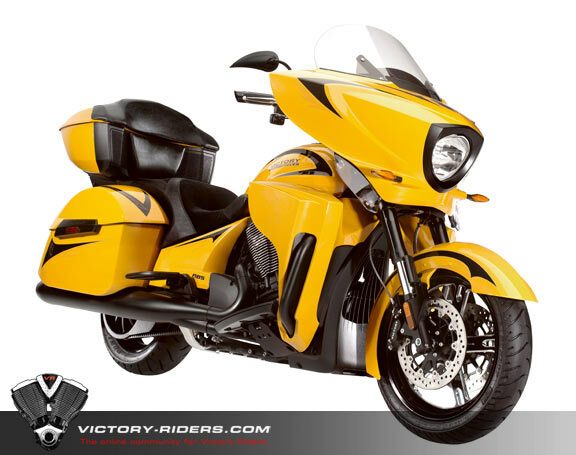 Victory has been busy shuffling the model offerings for 2013. 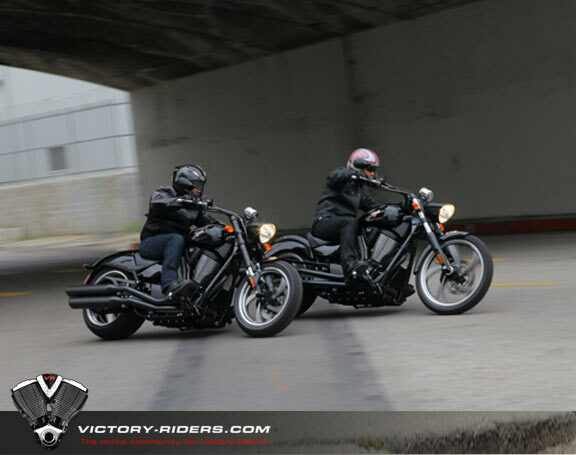 We say goodbye to one of Victory's popular, albeit aged, stablemates and hello to a new, fun replacement. Ok, lets get right to the new kid on the Victory block, The Victory Boardwalk. 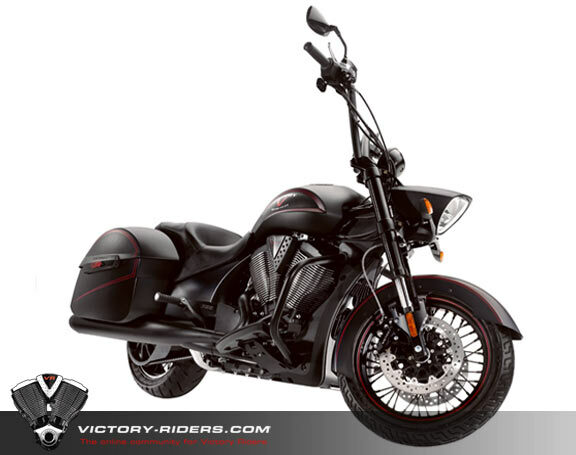 At first glance, while sharing styling DNA from several other Vic models, it makes its own statement and shows that Victory designers still have great ideas on what a cruiser should be. As you follow the bikes lines, you'll see common parts (at least similar looking) from the Cross bikes, The Judge, and even the Highball. 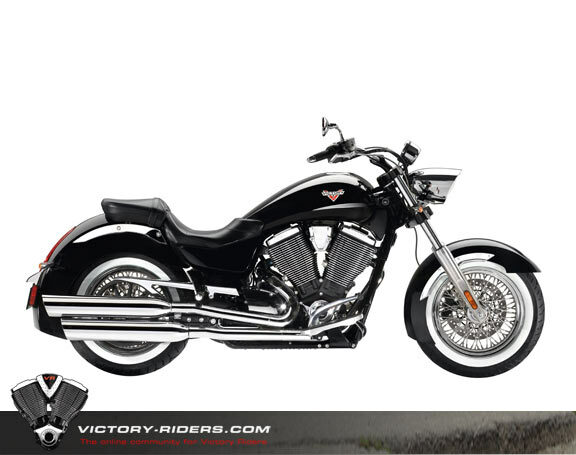 This Victory gumbo makes for a very balanced, cleanly designed bike that will replace the now retired Kingpin. While the Kingpin had its signature flared fenders and inverted forks, the Boardwalk resists these choices and goes with Cross-bike's fenders and gas tank, as well as the Highball's wire wheels, running the same wide whitewall tire combo (Metzler ME880s). 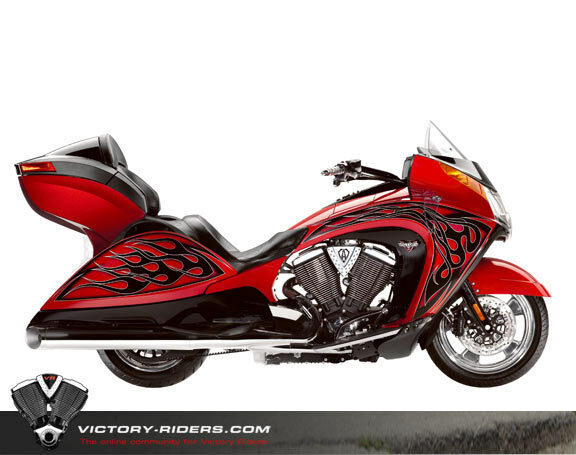 The Boardwalk shares the same ground clearance (4.7"), seat height (25.9") and wheelbase as Victory's other tubular frame runabout, the Judge. 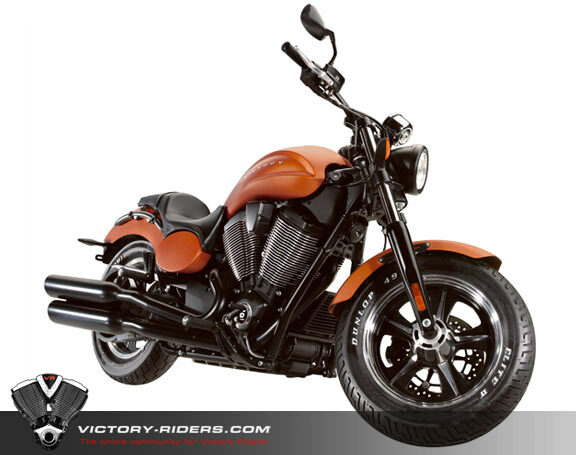 Also like the Judge, Victory passed on giving the Boardwalk anti-lock brakes (ABS). 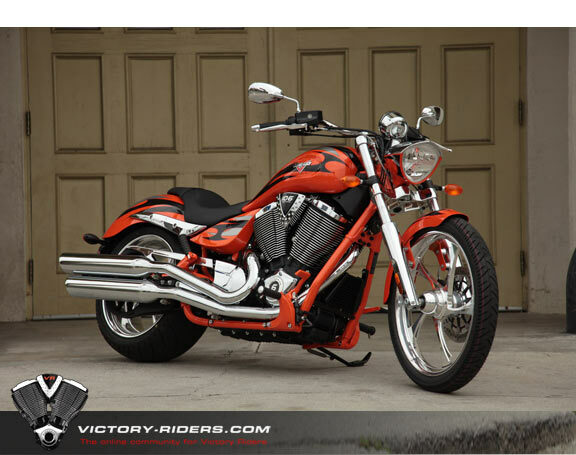 Weighing in at 675lbs dry, it's also the heaviest of Victory's cruisers, but only by a few pounds. 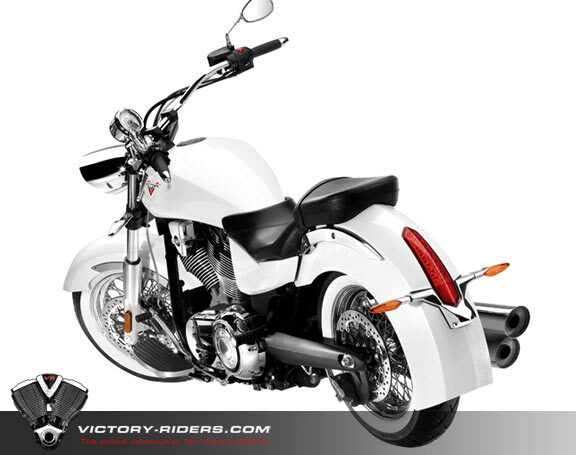 And lastly with an MSRP of $15,499 (in Black, add $400 for Pearl White), it sits squarely in the middle of all Victory's price points. 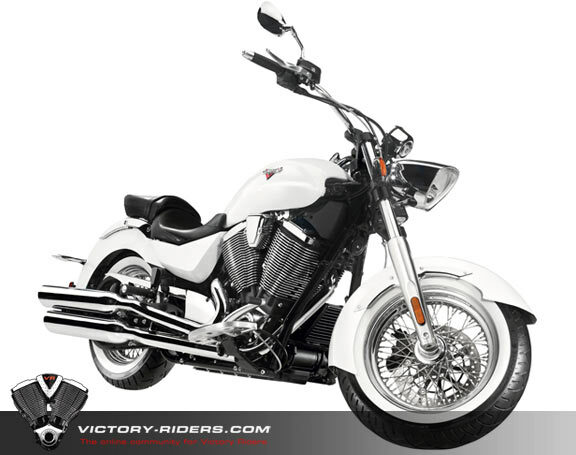 Victory has said farewell the the iconic Kingpin model for 2013. 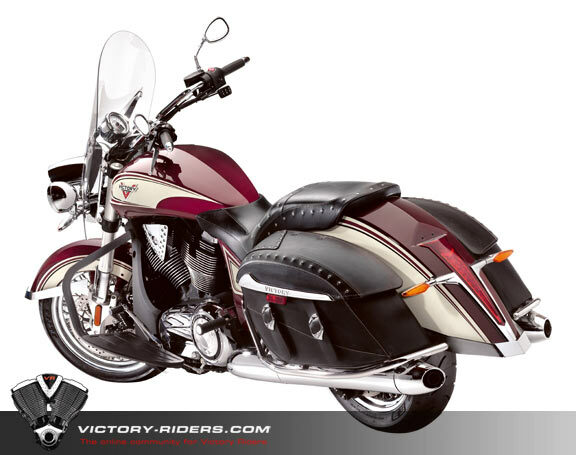 Those of you with the Kingpin, you can be proud to know it was, in its day, one of the best selling Victorys of all time. It also had the most neutral, balanced handling for a tube-framed bike. So long old friend! 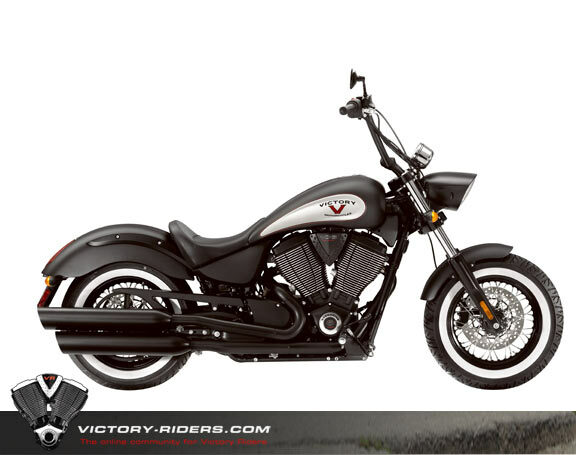 Victory has also limited offerings on the Hammer and Vegas to their base 8-Ball models. Is there writing on the wall? You can never be sure, but speculation can run rampant. Still, the 8-Ball versions of these bikes continue to sell well so they will live for another year. 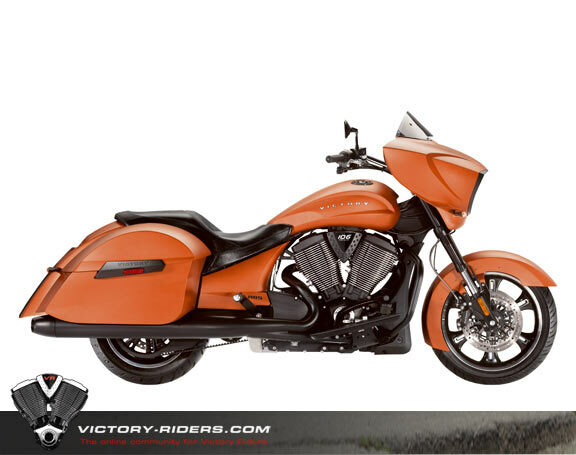 The rest of the Touring / Bagger / Cruiser lines remain unchanged for 2013 except for different color/finish offerings. 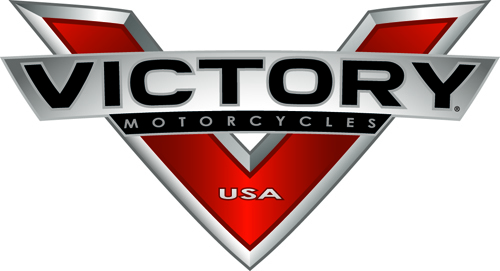 We've made the 2013 Victory US Model Specification Sheet available for download. Take a look and you'll see that most of Victory's line up is unchanged.